For fans of the Choose Your Own Adventure books, I have introduced a new page on the blog that will allow the community to “write” the story. After each section of the story, a poll will help determine the choices of the character(s) and drive the plot forward, and I will adapt it accordingly. Head on over to submit your choice, and remember–no peeking ahead! If you missed my review of RDR2, click on this guy here to check it out! There isn’t much more that can be said about Red Dead Redemption 2 other than that it is one of the most realistic, engaging and rewarding experiences I’ve ever encountered in any generation of gaming. 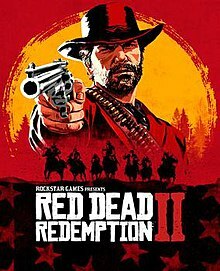 Rockstar has really pulled out the stops with this rendition of lasso-wilding, gun-toting adventure, and if the original Red Dead Redemption got a bit of a tepid response (originally, anyway), then the sequel is quite assuredly its redemption (pun shamelessly intended). Do yourself a favor and give this game a once-over, at the very least., and I can pretty much assure you that you will get roped into sinking countless hours into it. If the story doesn’t do it for you, then the fresh, freedom-enhanced open world experience certainly will. 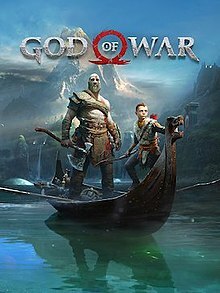 The God of War series has always been about tough combat and progressively bigger-and-better enemies and bosses in an action-packed adventure setting. In the eight years since God of War III, Kratos has grown out his beard and broken in his Bowflex in preparation for his journey in a new land to bring the ashes of his wife to the top of a mountain. One of my favorite games of 2018, topped only by the amazing RDR2, and one of my most enjoyable to platinum. Earning that shiny trophy is definitely a challenge, especially with some of the solo encounters you will face later in your adventure, but you can definitely feel a sense of pride once it pops. I’m an Assassin’s Creed junky if one ever existed, and although I’ve stuck through thick and thin with the series (sure was a lot of thin there for a while, it seems), the two latest iterations of the IP have been a true wonder to play. Origins is one of my favorite games in recent memory, and I’m only one trophy away from platinuming it–if you couldn’t guess, it’s the “visit all locations” trophy that I’m lacking. Origins brought a lot of fantastic new mechanics to the series, and Odyssey has expanded on those while also bringing back some of what we loved in the previous Creed games; like traveling the open ocean with a horde of mangy sea dogs, for starters. The RPG elements in Origins are expanded upon a bit in this title, which I thoroughly enjoyed, as there’s nothing like finding that new shiny weapon or armor piece that makes you look like a deadly, shimmering badass. 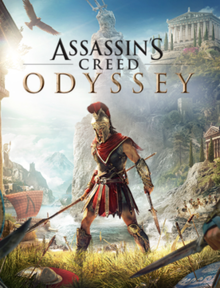 Definitely recommend it for Assassin’s Creed and RPG fans alike–whatever your flavor, Odyssey won’t disappoint. If you missed my full review for Marvel’s Spider-Man, you can find it here. 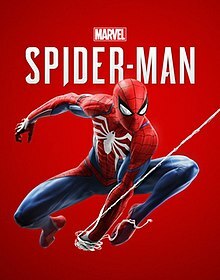 Marvel’s Spider-Man is developed by Insomniac Games, which is responsible for the hilariously-unique original Sunset Overdrive and a remake of Ratchet & Clank which I adored (I managed to platinum that one, eventually!) Even though I was a bit cautious about how they might handle such a powerful IP, I was needlessly worried. Insomniac Games took everything Spider-Man, both from the comics, movies and from previous era video game titles, and used it to transform this iteration into a seamless open-world experience. The mechanics of how Spider-Man should move and flow through the city are arguably the most important aspects of a video game based on the web-slinger’s namesake, and with the PlayStation 4 controller to move him around New York City, he truly feels both weightless and powerful at the same time. Insomniac Games also nailed the combat, and although there were some moves that I never really got around to using, there was a large and unique array of them. The visuals are stunning, to say the least, both in terms of the world around you but also with the spot-on character design. There are some moments when a new villain will come on screen or an action scene takes place, and you can’t help but marvel (another very shameless pun) at the detail put into each frame. Far Cry has come a long way since the original jungle concept that birthed it, and each iteration has seen an increase in zany plot points and open-world mayhem. Far Cry 5 is no exception to that rule and showcases a shadowy cult that spews the traditional religion-esque rhetoric while doing anything necessary to further their message. With a large dose of bloodshed, hallucinogenic drugs, and vicious weaponry, the world of Far Cry 5 will test your mettle and challenge you to come out on the other end unscathed. 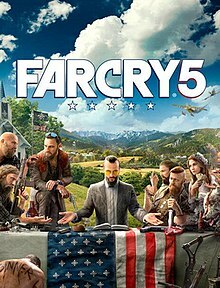 I fully enjoyed the plotline, and although there were a few tongue-in-cheek moments throughout that had me rolling my eyes, I had a blast learning the fate of everyone in Hope County. The introduction of some new vehicles and the inclusion of the standard crafting and weapon upgrade systems allow you to tackle the cult in any manner you desire, and there are many secrets and side missions to encounter. With one of the most off-the-wall endings in video game history, this is a “don’t miss” for sure! 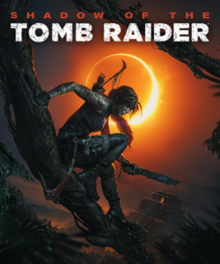 I have been a fan of the Tomb Raider games since the original on PlayStation/PC, and although the new trilogy will never replace the excitement of those original titles, there is something about Lara Croft’s latest iteration that is a sensation all its own. Shadow of the Tomb Raider continues the trilogy from the last two games on the PS3/PS4, and it’s the perfect end to an era. Although a bit less action-packed than the others–you will rely more on stealth mechanics and remaining unseen in this title–there are still many tense and powerful moments throughout. I don’t want to spoil too much, but I will say that it won’t take you too long to platinum, and it’s definitely worth playing this one to the max. I have always been a super-nerd when it comes to anything RPG/JRPG, especially because I am the type of person that will check every corner for one more potion/gold/dagger/insert widget here. I love becoming incredibly overpowered from hours of grinding, to the point that I can mock puny bosses from my ivory tower. 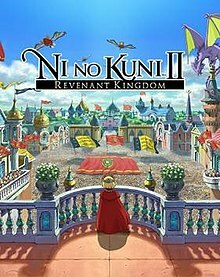 Ni no Kuni II: Revenant Kingdom scratches all those itches for me, and was the game that encouraged me to download Dark Chronicle/Dark Cloud 2 for PS4. It’s your standard JRPG fare, although I must say that the story is a bit more on par than some other goofier renditions of the formula that we’ve seen in recent history. I really enjoyed the whole Higgledies thing, and it reminded me of a Pokemon-esque type battle scheme with elements and such coming into play. It is a highly enjoyable game, and if you are a fan of anything RPG, you will find something of value on offer here. I never had the honor of playing Spyro the Dragon when I was a kid–I didn’t own a PlayStation until I was in my twenties, and I was always either playing competitive FPS games like Goldeneye or Perfect Dark, or spending time basking in the glow of adventure games like The Legend of Zelda: Ocarina of Time. I enjoyed games similar to Spyro, such as Gex: Enter the Gecko and Banjo-Kazooie, but only because they were available on the Nintendo 64. Now, thanks to the wonder of digital gaming (and the cash cow that is remaking older titles for the latest generation of gamers), I can experience Spyro in all his majesty! I am actually currently working on my first blind playthrough of the trilogy, and you can find a playlist of that stream here if you’re interested. So far, I am thoroughly enjoying the traditional platformer feel of the game, and I feel right at home with the cartoony and featherbrained art style. The game has turned out to be a bit more of a challenge than I expected, although I am shooting for platinum trophies for all three–eventually, anyhow. I highly recommend it, especially if you (like me) miss the gaming days of yore! Here are the two videos from yesterday–started a new “Trophy Cleanup” list which will focus on my attempts to cleanup trophies for some games that I’m lacking platinums in. I also starting the “Spyro Reignited Trilogy” as I never played it in my childhood, and I wanted to see what the fuss is all about. Completely blind run, and it’s a hell of a lot of fun. I just uploaded two new Red Dead Redemption 2 strategy videos–hope they come in handy! I grew up with two brothers in the early nineties, which meant that I spent most of my childhood either playing NES or exploring the streams and woodlands behind our latest house or apartment complex. We moved a lot when I was younger, especially after my mother suffered a serious back injury that put her out of commission and left my stepfather with the burden of supporting three children. Needless to say, the moves weren’t always voluntary (rarely so, in fact), and our financial state was always a teeter-totter of beans and mayonnaise for lunch when things were bad (yes, that’s a thing), and S&S Cafeteria for the whole family when on the upswing. If you don’t know what S&S Cafeteria is, imagine your school cafeteria on crack—extremely overblown, looks and tastes pretty good, but has a darker side that you’d rather not think about. Around my 10th birthday, I moved up north to Pennsylvania with my father and stepmother, which is where I have remained ever since—in Pennsylvania, I mean, not with my father and stepmother. I’m 31 now and that might be a bit uncomfortable for all parties involved. Anyhow, despite the fact that I no longer had my brothers to explore with, that desire to be high up in a tree or tramping through the mud hadn’t left me. Although I never owned a BB gun or similar weapon (nothing that could actually fire projectiles, anyway), I was allowed any noise-making, imitation firearm of my choice, and I had all the old clothes and random scraps of junk that any child naturally accumulates over time. Using these trappings to my advantage, I crafted vests from old jackets, bandoliers, and holsters from discarded, worn belts and duct tape, and a satchel from an old laptop case my father recovered from some long-forgotten corporate event. With my metal-and-plastic, orange-tipped rifle slung over one shoulder, pulling on my cracked and weathered fingerless cycling gloves, I felt like every action hero, gunslinger, and outlaw that ever existed. It has been twenty-some-odd years since those days, and I can’t remember the last time I even felt nostalgic about that time of my life, let alone reminiscent to the point of clarity. Red Dead Redemption 2, Rockstar’s nth prodigal child, is that reminiscence boxed into a 90-gigabyte package and sealed with a playful slap and a wink. I say a “slap and a wink” because, at least for me, RDR2 is a bittersweet experience, one that is so engaging and welcoming and exciting, yet at the same time comes with the cost of time and an amorphous sensation of loss. In other words, if you are a gamer, and I qualify “gamer” as one who dedicates at least some time to video games on a monthly basis, you will find something to love about Rockstar’s latest foray into the mud-slung proverbial “wild west”—but it will come with a cost. That cost is time, not only in the vein that the game will take many hours to complete but also in regards to the sensation you will feel that no matter how much time you dedicate to RDR2 in a given day, it is not enough. You will fade into the world, listening to the buzz of mosquitoes and squinting at the bright morning light that filters through the blissfully-swaying leaves of a nearby tree, perhaps with the faraway sound of some passerby cursing at their horse, and you will stop. You will stop and take it in, and then, once you’ve reminded yourself that this game is an experience, that you are merely controlling so many pixels amongst other pixels, you will open your map and start plugging along. Maybe you’re five minutes in, maybe fifteen, maybe even an hour, but at some point, it will hit you. You will start to feel it, that pure, unadulterated joy. Perhaps you were heading to the glowing yellow area a mile or two out, and then, all of a sudden, a woman comes tearing out of a bush towards you, screaming for help. You stop your horse so you don’t trample her, hop down (with revolver pulled and ready, of course) and offer assistance. Suddenly, she has a knife to your throat, and three men in voodoo-esque masks drop from the trees and stream towards you. You swing around with that dead eye of yours, taking them all out (one guy takes two shots to go down, but he never really had a chance anyway and you don’t mind expending the ammo), and turn back to the woman—who has since taken off, now a few hundred yards away, disappearing over a hill. You don’t bother to chase her, instead taking the opportunity to examine the men and their strange facades. Hoping to find more information, you investigate the nearby buildings, one of which is submerged a few feet into the goop of a swamp—you visit all the other ramshackle houses first, but eventually, you get around to that half-underwater shack. You have to duck to get to the back of it, but eventually, you make it and are rewarded with a mask nailed to a board on the wall—the same type of mask the men were wearing. You take it, try it on, and generally revel in the fact that, had that woman not tried to murder you in cold blood, you would have never discovered this quaint little hovel or the ghostly visage that now adorns your face. You hear a door open. The cold wind from outside kicks into the house like the wind has a tendency to do, pushing open creaking doors and making the curtains dance. Your wife is home, and she has her hands full with grocery bags. “Hey, babe!” she calls out, and you are back. That sensation is gone, and you are back. Now, don’t get me wrong here—I have taken some liberties, and I’m not saying that having a life and doing adult things is a negative thing in any way, shape or form. In fact, you could make the argument for any game that time seems to fly while you’re playing it and there never feels like enough of the day to go around. What I’m saying with RDR2 is that there is a fleeting feeling of loss that comes with realizing that you are not Arthur Morgan trudging through virgin America, that the only thing you sling is a pen when you sign the mortgage check for the month. Yes, it is bittersweet, but it is not a bad thing—rather, it is a testament to just how engrossing and rewarding Red Dead Redemption 2’s world truly is. In case you’ve yet to realize, this is not your normal game review. It is not informative in the traditional sense that it lays out exactly what the graphics are like, or how riveting the musical score is. It does not outline the plot or pay homage to the hackneyed methods of describing a game (“As you tear across the open plains of the American Wild West, you will jump, weave and dodge other outlaws with your revolver in hand!”). RDR2 is something special, the antithesis of a title that achieves its praises based solely on previous expectations or by remixing the formula in a satisfying manner. No, Rockstar truly has created a vision of its own, a defining way forward, a species nova if you will—and that deserves an equally new way of reviewing it. It is not about what it does mechanically—it’s about how it makes you feel. Let me sum it up like this: If you garnered even a small fragment of the expression of love that I have for this game in this article, then you already know that you will enjoy this game with every fiber of your being. If you were right there with me, imagining the sun filtering in through the trees, mentally smelling the sharply-sweet tinge of sweat and gunpowder on the cool morning air, then this game is for you. I have played many, many games throughout my life, and every once in a while one comes along that requires you to deftly balance the real world expectations with the joys of the virtual one—savoring every chance you get to spend time in the latter. Red Dead Redemption 2 is that game, pardner—I guarantee it. Verdict: What are you waiting for?